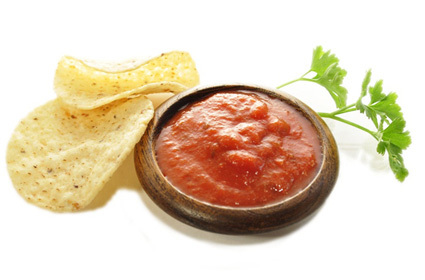 I love this salsa recipe; it’s so tasty and not bitter like some salsa dips I’ve tasted. It’s so simple and easy it is to make. Great with corn chips or poppadoms. If you don’t have a blender, chop all the ingredients and mix together. Great with corn chips or poppadoms.